Personas and Themes are a bit of a strange beast in the add-ons kingdom. 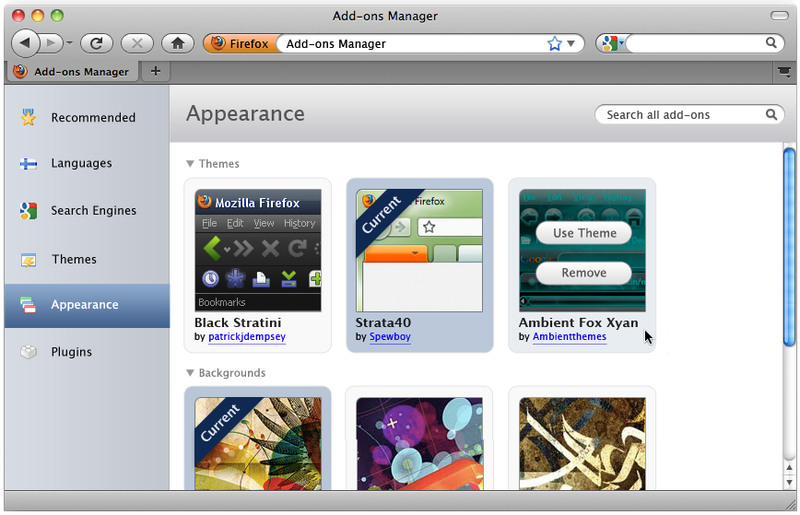 Themes completely change the look of Firefox, from its color and menus to the shape of buttons. 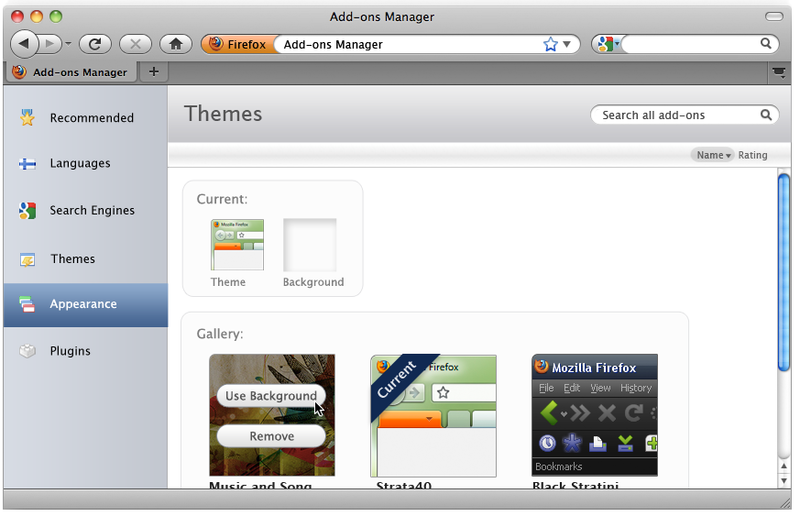 Currently, Firefox needs to restart to switch Themes. Personas, or “Backgrounds” as I’ll refer to them here, are a kind of light-weight skinning which puts an image behind Firefox’s user interface, but makes no other changes. These can be applied without a restart. This gets slightly complicated when a Theme and a Background are used at the same time. For instance, if someone wants to use a Theme with circular buttons, but also a freakin Twilight Background behind them. So, the UX question: how explicitly should we make the difference between Backgrounds and Themes in the user interface for the add-ons manager? One solution is to ignore most of the complexity: allow users to use both a Theme and a Background and simply mark what is being used. This makes for the simplest interface, but can lead to the user being confused about results (“Why does using this Theme disable my other Theme, but my Background remains the same?”). Or, we could be more explicit about it: give the user an indication that they can only have two items, and only one of each type.